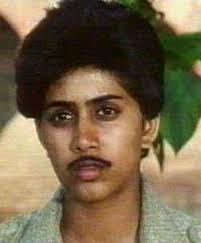 Srinagar: After a spate of instances involving allegations of sexual assault and molestation by government officers, the government has asked all females to disguise themselves as males while visiting administrative offices. The order, issued this morning, and shared extensively on facebook and whatsapp lead to a shopping spree in the crowded streets of streets. “We have seen extreme rush of women. They are asking for jeans, Khan dress, caps and even Sikh turbans,” said Altaf Ahmad, who owns a trendy garment store in Srinagar. “Moustaches and beards are the other hot items in demand,” he said. Aslam Dar, 42, was accompanying his wife to the Accountant General’s Office, in connection with her provident fund files, when they heard about the order. “My wife took my Khan dress, shoes, glasses to enter the office,” said Dar, wearing a shawl outside the office complex to protect his modesty. However, many men visiting the government offices criticized the latest order, which they claimed have put them in harm’s way. The younger clean shaven men are feeling vulnerable too as there have been couple of incidents of attempts of molestation on them. Some social experts also chided the government order for ‘lack of foresight’.